Flag in use from July 4th, 1912 until 1959 (47 years). 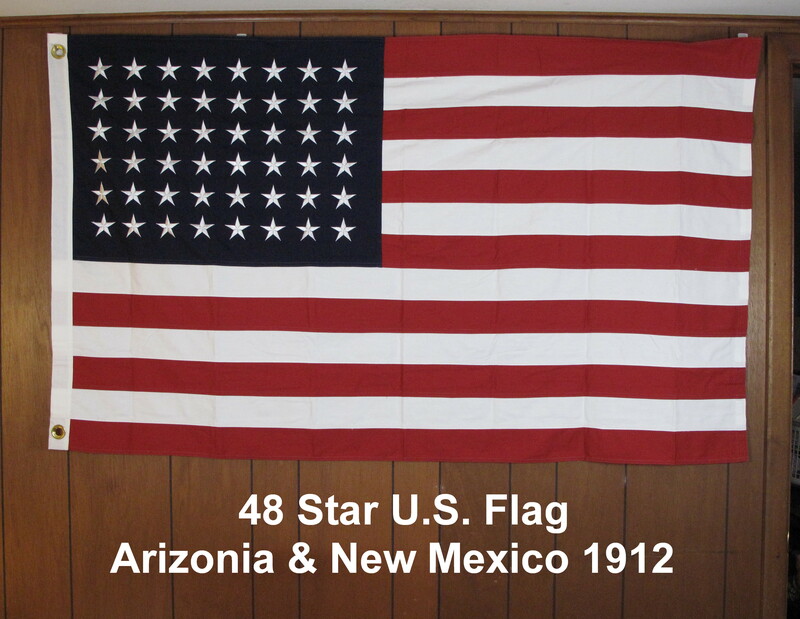 Longest flag in use in U.S.history. 8 presidents served under this flag. Two world wars were conducted during this period. Six rows of 8 stars each. 3'X5' Cotton, cut & sewn. Satifaction guaranteed. 100 % refundable withing 10 days of receipt.